Announcement Here you will find unique, one of a kind hand painted and spun yarns, as well as the occasional knit, crocheted, felted or sewn accessories. I use techniques such as handspinning, kettle dyeing, crochet, knitting, upcycling, repurposing and felting. Join my facebook and instagram pages for ideas, hints, tips, tricks and secret sales. All items are handmade by me in Alberta, Canada. Local customers, please message me if you'd like to pickup in person and save the shipping fees! Please take a moment to review my shop policies before your purchase! Don't be afraid to get in touch if you have any questions. Here you will find unique, one of a kind hand painted and spun yarns, as well as the occasional knit, crocheted, felted or sewn accessories. I use techniques such as handspinning, kettle dyeing, crochet, knitting, upcycling, repurposing and felting. Beautiful colors, with sparkles! Love it!! Colours in the dye pot! After completing my Bachelor of Fine Arts program in 2005, my artistic focus began to shift to mediums that could practice from my own home. I began to get involved with a number of local craft & art groups and eventually I learned how to spin and dye yarn. I also found that many of the people that were practicing this art were very rigid in their approach; so I began to develop methods and experiment in my own practice. 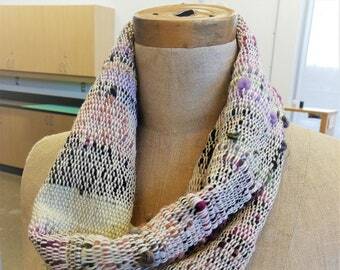 The result of this exploration is unique yet functional art yarns and pieces. The process behind most of my hand dyed and spun yarns is often spontaneous. I take color inspiration from the landscape around me but also keep the color wheel in mind. The results are never repeatable, ensuring that each piece, whether a skein of yarn, a knit hat or a bundle of fiber is truly one of a kind. One of my favorite parts of the dyeing and spinning process is to watch how hand dyed or hand carded wool blends together when it is spun. It's never boring and the results are unpredictable! My tools include 2 vintage spinning wheels- an Ashford Traditional and a Lendrum original. I also own a vintage hand crafted drum carder that I can blend fibers on. I love spinning, dyeing, knitting and crocheting yarn! I've been an etsy seller since 2008 and it's enabled me to share my passion with others around the world! Thanks for taking the time to check in about my policies! Due to the nature of my products, I cannot accept returns or exchanges. Everything in my store is handmade with love by me, with that in mind, each item is unique and one of a kind. Please make sure you read the descriptions of sizes, measurements, materials, and washing instructions, etc before buying to make sure the item is appropriate for you. I can not be held responsible for a buyer's neglect to understand this information. The best idea is to message me with any questions or misunderstandings before I send you the item/you purchase it. In the case that your item comes to you damaged, please message me, and I can attempt to resolve the issue (in saying this, I've never had a package damaged or lost!). If there are any other concerns, please contact me. I take etsy checkout, payment must be received within 24 hours of purchase or the order will be cancelled. I try to keep shipping as low as possible; therefore I use no unnecessary or extra packaging and utilize clean, recycled materials. My shipping rates include postage, packaging, and my time processing & preparing the item for shipment. I ship within 1-3 business days after receiving your payment. I ship with Canada post, which usually takes 1-2 weeks to the US, and generally 1-2 weeks in Canada, International shipping times vary. ***Canadian Customers: For single yarn purchases, shipping is listed as $5.00- this is through the lettermail stream, which is most cost effective. However, there is no insurance or tracking included with this service. If you would prefer to have shipping with insurance and/or tracking, please select an upgrade during your purchase. If it turns out postage costs less than what I have listed for a shipping charge (over and above $1.00), I will gladly refund you the difference. I am a non-smoker who lives in a smoke free, animal-friendly home. 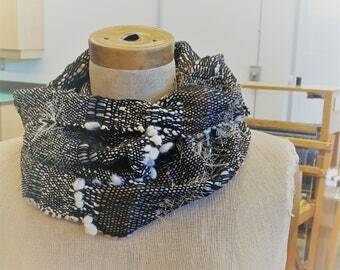 I strive to use high-quality, local, and upcycled materials; I do not use cheap, scratchy acrylic yarns! I will sometimes do custom orders- please contact me if you have an idea. payment must be made prior to the item being made, and custom orders usually may take additional time. 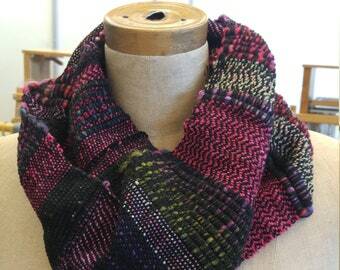 Handspun yarn: typically comes in 3 foot skeins in order to reduce shipping costs. All handspun yarns have been set & soaked with clear water.